This blog was originally intended to be for a Jow Ga audience, but it seems that most of my feedback has come from non-Jow Ga practitioners. So, while I will be writing these articles from the point of view of a Jow Ga practitioner–you may notice that I will occasionally reference non-Jow Ga or tag other styles in my articles. One of the calling cards of Jow Ga students that local martial artists will notice is how our students emphasize low, strong stances. I’ve even heard some mention it as if our low stances were over-emphasized like it was a bad thing. I’d like to use that notion as a point of reference for the rest of this article. Kung Fu people tend to be of three types. 1. Traditional curriculum-based practitioners–They practice curriculum material, some excel at it, others casually practice it–but there is very little introspection and/or innovation. 2. Fighters–Emphasize fighting of any type over tradition, from tournament to full contact to streetfighting. Plenty of innovation and reconstructing of technique, whether with the base system or not. 3. Forms specialists, philosophers and lion dancers–This is where I put everyone else. This group learns and barely practices the curriculum, outside of forms for performance. There is little sparring, very little breaking down of the system, and applied martial arts is secondary to whatever it is the Sifu chooses to specialize in. Of the three types, the fighter is usually the primary detractor of traditional stance work. Traditional stances simply have very little use in their chosen piece of the field. They can’t use it while fighting, it’s not mobile enough, can’t seem to make sense out of traditional footwork with these fighting techniques we use in the ring… you name it. The other two types rarely think about it. Fighters are quick to label traditional stances and footwork as “outdated” and impractical. This is the primary reason we abandon the training after the first few forms. Practitioners learn to hold their guards and therefore stop practicing chambered punches. They dance in their footwork rather than stand. They stand upright for mobility instead of sitting for good rooting. I blame this on the simplification of Kung Fu–rather than a full understanding of how to apply it. So we end up with two sets of fighter/Kung Fu men: those who keep traditional kung fu, but teach a separate set of skills for fighting–versus those who simply discard the traditional in favor of more modern methods altogether. Kung Fu Sifu, then, become followers of the trend, rather than stand rooted in their theories. And here is the culprit; every traditional Sifu will argue all day long about how traditional stances are useful and practical in fighting. Yet how many can actually prove their theories? Very few, you and I both know that. So blame the economy, blame the lack of dedicated students, blame the faith of the modern kung fu student–but ultimately, the blame lies on those of us who teach the art, yet cannot convince our students that the traditional can hold its own against the modern. The result is that our traditional skills are either (foolishly) deemed “too deadly for the ring” or simply not sufficient or applicable to fighting. I have said this over and over on my Filipino Martial Arts blog, Filipino Fighting Secrets: Not only are there too many of us out here teaching the art, there are too many of us out here teaching who do not have the skills, knowledge, and experience to be teachers. It’s worse for the Chinese martial arts. Most schools are led by men who simply have no fighting record at all. Not in light contact competition, not in full contact competition, not even in the street. Too many Kung Fu students are being brought to tournaments by Sifus who don’t even own a set of sparring gear–let alone ever wore any. When our schools are being led by men who never fought, the students will be lost in any kind of combat, whether simulated, sportive, or real. The solution is simple, but not easy. This next generations of Kung Fu experts must be taught more than just curriculum, theories, and form. Your understanding of what your system has to offer shouldn’t rely on your knowledge of Muay Thai or Brazilian Jujitsu. Future generations of Sifus must be well-researched and given ample time to question what you are teaching and call your theories to the carpet; you cannot hide from their doubts. You cannot pass on your insecurities about whether your system really holds up to boxers and grapplers, and if the only way you can win a fight is to blind them or break their knees–you apparently aren’t skilled enough to be teaching “fighting”. Students must be encouraged to try their hand against other systems and other fighters, and win or lose–bring that experience to the classroom and figure out what happened… What works best, what needs to be tweaked, and how your traditional art can be used to stop or defeat those modern methods. And finally, students must be given enough time to really advance their skills and not rushed along some timeline of forms and exams (and exam fees). Given enough time to develop and fine tune, most martial arts students will have discovered things that they never would have if they rush through a curriculum. I’ve met young instructors who are barely out of their 20s who have already forgotten forms. It’s not a race! And forgive me if I come across as insulting–but it starts with you, the Sifu. You must be the first guinea pig of your new thinking. I’ve seen Sifus put their students through workouts they know they couldn’t handle. I fixed a fighter’s gear once, when his own Sifu put it on for him–incorrectly. Travel outside of your city a few times if you need–and enter some fight contests. Train on everything you plan to teach, and test it out on other instructors to gain a clearer picture on how this stuff works. Basically, I’m telling you to walk the talk first, and practice what you preach. It’s only fair to your students, and will give you better insight when teaching. Going back to the subject of traditional stances and footwork, consider this… if you observe the best boxers and grapplers, you will notice that under pressure, they sink in their stances for power and rooting. Almost all stances can be applied in some way while fighting–forward stances for power body shots, horse stance for hooks, upper cuts and evasive maneuvers, even cross stances when throwing. It’s not a matter of discovering what works in fighting; those things have already been investigated by our system’s creators. Rather, it is a process to discover how they work. There is a huge difference. As teachers and coaches, we all know how to throw a hook punch–but not everyone understands how to use the hook punch. And you cannot teach the hook punch without teaching how the stance and footwork is integrated with the hook. Only discovery and experimentation can give it to you. Hopefully, you have found some useful points in this article… We are 1700 words in, so I’ll close here. If you like it, please comment and share! And don’t forget to subscribe! Today we will discuss some tips to help you come up with ways to teach one of our more difficult types of students: The passive student. 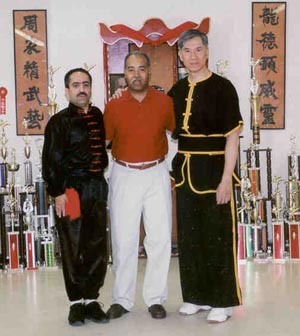 Due to the way the Chinese martial arts have been labeled by the community–as well as how we have marketed them–Kung Fu schools have always attracted students who were not as interested in fighting and combat. Or perhaps they wanted to learn to fight, but feared sparring or training with contact. This is not commonplace for other martial arts, such as the grappling arts or stick-based arts, because those styles keep sparring and combat as a yardstick for measuring skill. In the Chinese arts, we highlight forms, the age of the systems, lion dance, health benefits, etc. Because of this, students come to the CMA not expecting to touch gloves, while in other martial cultures they simply assume that actual combat will be practiced regularly. I have seen personally, and entire classroom of students get nervous when the Sifu announced that they will be sparring that day. A culture of prearranged defense and lack of emphasis of sparring has created entire generations of martial arts students who are here more for the “art” than the “martial”. In other words, we have entire generations of students who fear sparring. Sadly, a timid student becomes a timid Sifu, and nothing is worse than a school led by a Sifu who never learned to fight. Even worse than that, however, are students being put into fight competition by a Sifu who does not know how to fight. Finally, the most basic way to deal with the timid: Simply have them spar more. Gradually, of course, but do it more often. The more your students spar, the less they fear it, and surely, the better they become at it. It’s that simple! Hopefully, we’ve given you some useful tips and make sure to give your students time to develop. The results won’t come overnight, but if they have had enough time–you will definitely see an improvement. If you like this or any other article on this blog, please share and spread the word! And remember to subscribe! Thank you for visiting the DC Jow Ga Federation. We welcome any tips, criticism and comments below. Many of you know this weapon. But what do you DO with it? How do you practice with it? Going to ask you to step out the box you’re normally in for this one… We’re going to file this article under “Technique and Strategy”, too. Typically, Kung Fu teachers limit most weapons practice to learning the skills necessary to perform the forms accompanying the weapon properly. I don’t believe this is enough. If one cannot simply learn a form and the basic applications and use them in fighting, why do we think we can do so with the weapons? Looking at the history of most styles, many of our Si Jo were not experts at many weapons. Without referencing my library or visiting any websites, I recall that founders of systems I’ve read about studied hand techniques and often, only one or two weapons. Yet a century later, the schools teaching their arts often have ten or more weapons in their curriculums. How many of your system’s history also includes a history of each weapon in your curriculum? I’ll give an example using myself. My system speaks of only one weapon/form, in its history the 8 Diagram Pole. Yet Jow Ga–depending on the lineage and school–offers as many as 12 or more weapons and forms. I do pass on to my students however, the story behind four weapons I was taught by him in close detail: the double headed staff, the spear, the broadsword, the three-sectioned staff, and the double daggers. I have learned all the weapons my lineage has, yet these four weapons I know the best because I spent years with my teacher learning them. Training was not just form also. We had diagrams, techniques practice, combinations, I practiced techniques for use against other weapons, applications for the techniques of these weapons to modern “non” weapons, power-generating practice, applications of the techniques to the empty hand, and sparring. When I speak to other Si Hing about their experience with our Sifu, I discovered that these weapons appeared to be his weapons of choice as well. As a young instructor, I received further instruction from my Si Gung on the staff that were quite different from that which I learned from my Sifu, so my students now get a fifth story to add to their Jow Ga history. If you are one of the fortunate ones to still have access to your Sifu, I would highly encourage you to question him about these same things, as often our teachers neglect to give us the source of such knowledge and technology. Taking our previous discussion about “Reverse Engineering”, (if you hadn’t read it, please read that article so that this one makes more sense) I have a strong suggestion for you. Take one weapon form from your system and give yourself 12 months to deconstruct it. Apply the Reverse Engineering philosophy to that form and weapon, and whatever you come up with make a list into two groups: Group I and Group II. Group I would be the easy, superficial applications that one could surmise by simply learning the form. Start with the first technique in the form, and make your list of techniques all the way to the last. Skip anything that doesn’t actually look like a technique. Then Group II would be the applications that are more difficult (some of these could be techniques that appear in Group I, but are alternative applications) to execute and requires more training and practice. Be sure to include in Group II those things that make no obvious sense; you will work and rework these techniques until you have exhausted all possibility that the techniques are useful. You now have a working curriculum for that weapon. Perform your weapon’s form 100 times. Yes, you read that right, 100 times. You should begin any new endeavor within your system with a thorough understanding of what you are doing. This comes in part from a Filipino proverb, that a skill is not learned until it has been performed 500 times. 500 is a lot to ask for an entire Kung Fu form, which is why I am suggesting 100 for starters. I know over 40 forms, yet there are 8 that I have performed 500 times, and two that I have performed 1,000. Doing so will reveal things to you that will escape most people. My Sifu, who died prematurely, had also confided in me that he had performed three forms 100 times in his youth consecutively and he considered himself an expert of those forms. I am merely continuing his research. Identify all possible techniques into “Group I/Group II” categories. Leave no stone unturned. Make sure that you can easily answer the question, “Sifu, what’s this for?” You would be surprised how many Kung Fu experts cannot answer that question for a good portion of things in their system. Everything has a use; everything has a reason for being there… it’s up to you to discover them. If you can’t answer “why” and “how”, my question is, why do you do it at all? Identify the basic strikes, blocks, traps, cuts, etc., necessary to form a proper foundation with the weapon. Many of you may have them. Some of you only have them for certain weapons, and only a form or two for others. Dissect the weapon so that you can truly understand them. This list will make up daily practice for those learning the weapon. The same way you perform stance training, punching practice, Chi Sao, impact training, hand conditioning, blocking practice, etc., with the empty hand–you should also have the same regimen offered when students are learning a weapon. Your curriculum is 50% created; now become a guinea pig. Take your basics, train only those things for 3 months religiously. Focus on those weapons basics in place of what you normally train with for the empty hand in your system. Do your bag work (using the weapon). Do your shadowboxing (using the weapon). Have someone attack you so that you could practice your blocking (using the weapon). Even do some light sparring (using the weapon). Then take your Group I techniques, and train it for 3 months–doing the same as above. And finally, Group II. This will take you a year. Along the way, you should have new items, perhaps some things you want to eliminate or modify. You may even have created new drills. And I bet your skill with this weapon will be second to none. That can be the only outcome! Teach. Teaching, they say, is 1/3 of Mastery. You cannot class and seminar your way to Mastery; you must at some point, compile all you have learned and pass it on to students who lack your knowledge and skill. At this point, more will be revealed to you as you witness the students undergo the learning process. They will stumble, they will make mistakes, they will ask questions you hadn’t thought of. Where you were once the guinea pig, you now have a classroom full of eager test subjects–so teach! While they learn, go ahead and do your form 400 more times. In the course of learning, your students will teach you through their own imperfections. This will be a great opportunity to contribute to the evolution of your system and your lineage. After all, who are we but inheritors of our Masters’ work. They have passed it on to us to continue their quest for a more perfect system. Keep training, and by the 500th time you execute that form–I guarantee you will discover things that perhaps your own Sifu had yet found. This was a 1,300 word article, but it will be a 2-3 year process. Keep this article in your “favorites” folder, and make it a part of your martial arts philosophy. One thing is for sure, if you do it, the next generation of students under you will receive a more potent, concentrated, better-researched version of what you could have given them. If you are satisfied with the outcome, it’s time for yum cha… breathe deep…. pull out a copy of your system’s curriculum. Which weapon’s next? Life is short. Don’t waste time. There is so much work to do! Thank you for visiting the DC Jow Ga Federation. Occasionally, on this blog we will be sharing some “little known DCJG facts”. I say this sarcastically, because whenever I share them in class around non-Jow Ga friends, they always seem amazed by simple things that all DC Jow Ga students know… and these little known DCJG facts exist in their systems, are so obvious and simple, and shouldn’t amaze anyone who teach the martial arts. I would like to emphasize that nothing here is secret; they are in every style. You probably teach it in your system. Each time you teach a beginner some of these things, I’m positive you tell him this very thing–without the emphasis. “Without the emphasis” is where Dean Chin’s Jow Ga is different. There are many details in Kung Fu that are taught, but not emphasized. For example, in Southern styles when we shift from the Sei Ping Ma (Horse Stance) to the Jee Um Ma (Bow and Arrow/Front Stance), everyone tells students that the shift adds power, speed and reach to an attack. However, only in schools where the Sifu emphasizes that element of making the shift increase power, increase speed and increase reach–will those benefits find their way into the strategic advantage of a fighter’s arsenal. The teacher must emphasize this in both form and fighting also. Too many teachers teach the shift, tell of the many benefits and advantages and details, then on to the next move or the form… In Dean Chin’s Jow Ga, these minor details are dissected, studied, developed and emphasized in the student’s skill until they become habit. It must be more than a talking point. 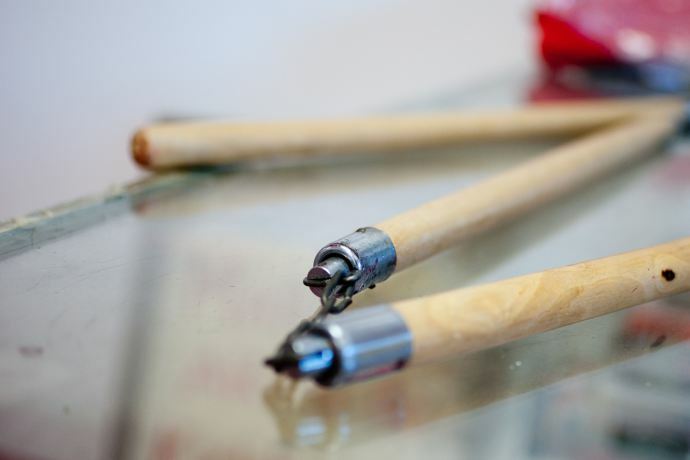 Each detail of a technique, each alternate application, each variation, each benefit, must all be identified, separated from the form and practiced and drilled as a separate skill. I “emphasize” for emphasis: As a separate skill. Today’s little known DC Jow Ga fact: The punching hand that retracts is pulling a grabbing arm into the opponent while punching with the opposite arm. Lop Jin… Sei Ping Ma. Horse Stance Punch, ready? YAT. YEE. SAM. SEI…. And you do this, every time you teach punching ^^. Not us. We do this to practice punching. But in almost every session practicing punches, we do something with the opposite hand–Eagle Claw grab and punch. Tiger Claw rake and punch. Counter grab the opponent’s hand and punch. Yank the hand back (this article’s “secret”) and punch. Grab the opponent’s lapel and punch. Get it? You pull the non-punching hand back with as much power as the punch going out. That’s it. I won’t tell you how to do this, just that it needs to be done if you want to practice the way we do. If you want to know more, please find a DC Jow Ga teacher (look on our Blog Roll for a school near you) and study with him. Or you could order our Small Tiger DVD (shameless plug). Thank you for visiting the DC Jow Ga Federation!